Variety reports that DreamWorks is hard at dream work on a sequel to last year’s Oscar-nominated candy colored cartoon comedy Trolls. Justin Timberlake and Anna Kendrick will reprise their roles as Branch and Poppy, the adorable animated heroes who will presumably do everything in their tiny power to get the latest J.T.-penned ditty lodged firmly in your head by the time the movie hits theaters in 2020. 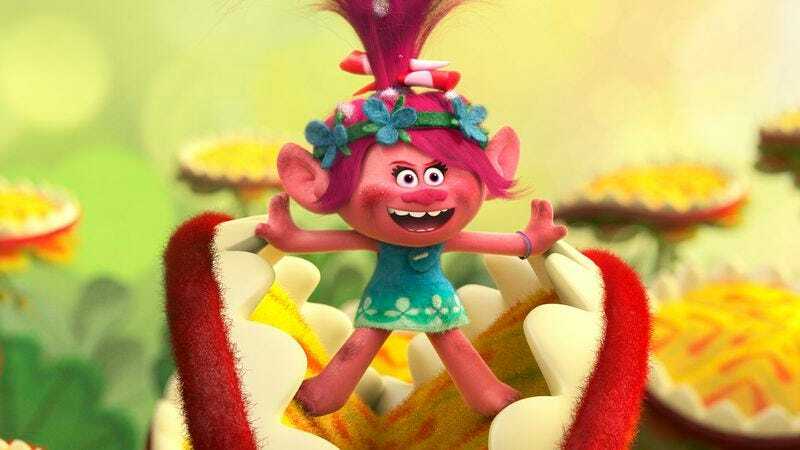 Trolls was a strong contender at the box office, more than doubling its $125 million budget. DreamWorks hasn’t announced a creative team for the sequel; Mike Mitchell, co-director of the first movie, was recently tapped by Warner Bros. to take over directing on the Lego Movie sequel. We also don’t have an official name for the film, although we might suggest that the studio steer clear of Troll 2, because that one’s already been done to perfection.